In The Spiritual Exercises of St. Ignatius of Loyola, Ignacio constantly invites us to find God in familiar places. This summon is an important aspect of Ignatian spirituality: we can find God in all things. This is an important reminder. We usually look for God in extraordinary places. We are constantly in the quest for remarkable and momentous experiences that assure us of and express the presence of God in our lives. In other words, we are looking for that which is out of the ordinary. Yet, it is seldom these experiences that define our faith journey. After all, Elijah did not notice God's presence in the strong wind, the earthquake, or the fire; he found God in the gentle breeze (1 Kings 19:11-13). We can remember that God embraced the ordinary when he came to be amongst us in Jesus. 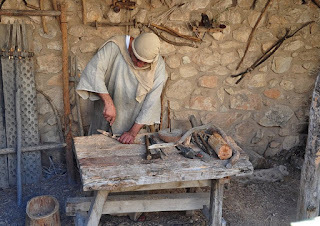 He was a carpenter for thirty years (Ok, if Jesus started helping Joseph when he was eight or nine, he would have done it for more than twenty years, but you get the point). He did simple tasks as a carpenter every day. He found Abba in the simple and the ordinary. Likewise, we find God in our own carpenter shop; in familiar places, faces and events. When Jesus preached, he used images that were familiar to the people: shepherds, farmers, baking, fishermen. He pointed to the lilies of the field and the birds of the air. He invited people to realize that the Kingdom of God is among us in the common places and simple things. As we learn to find God in those common places and simple things, we become aware that the best way to express God's love is through simple acts of love and service. We surrender our lives to God and to our brothers and sisters mostly through simple acts of sacrifice and small offerings. 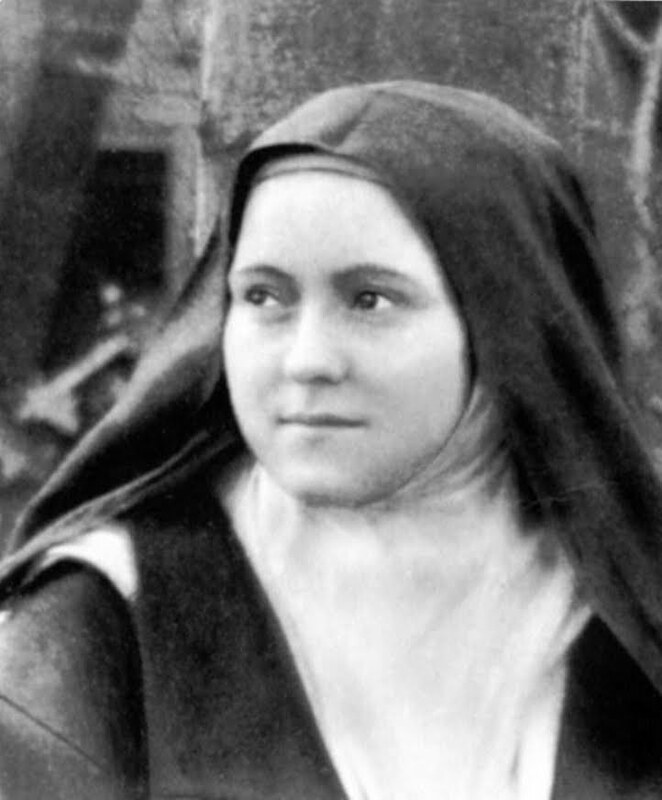 In this, we are reminded of Saint Thérèse of Lisieux's "Little Way": she did ordinary things with extraordinary love. Those small gestures of love usually express the powerful and true desires of our hearts as they beat in union with the Heart of Jesus – his passionate furnace of Love. If we are faithful in little things, we will be faithful in large ones (Lk 16:10). If we are faithful in the small, common and ordinary things of life, we will be faithful in the unusual and extraordinary moments of life as well. It is through the ordinary acts of love that we dispel darkness from this world. This was well expressed in the film The Hobbit: An Unexpected Journey, when Gandalf the Grey said, "Saruman believes it is only great power that can hold evil in check, but that is not what I have found. I found it is the small everyday deeds of ordinary folk that keep the darkness at bay: small acts of kindness and love." We often think like Saruman; we are wowed by great things and astonishing moments. We want the old Razzle Dazzle. We pine for mystical experiences; we chase after moments that will take our breaths away. But 'don't go chasing waterfalls'. Do not chase after unforgettable moments and forget the common places and the simple things of life. Do not ditch the ordinary. Embrace it. This ordinary time let the common places and the simple things speak to you about the beauty of our God. Discover truth in your own carpenter shop. Do justice and live goodness through small acts of kindness and love. Take a stroll through this wonderful green valley. God is inviting us to find him in familiar places: Will we accept his invitation? Would you say that the examen of consciousness, as you guys explained in the discernment retreat, is the best way to accept that invitation?